The battle between traditional media and the blogosphere over aggregation (or “curation,” if you prefer) continues to rage. In the latest skirmish, Forbes blogger Kashmir Hill got thrown under the bus by many for a recent blog post in which she summarized a New York Times piece about data-mining practices and privacy. According to her critics, Hill “stole” the story from the NYT, along with a lot of web traffic that rightfully belonged to the newspaper. Some argue that this doesn’t deserve to be called “journalism” — but in many ways the eternal debate over what qualifies as journalism is a red herring. The reality is that aggregation and curation are part of the new media ecosystem, and they can add a lot of value whether we like them or not. As more and more competitors for traditional media outlets emerge — whether they are corporations like The Huffington Post (s aol) or teenagers in war-torn countries trying to do journalism on the fly, like the 14-year-old profiled in a recent New York Times story — there seems to be a growing obsession with defining what journalism is, and who deserves (or doesn’t deserve) to be called a journalist. Is the man who live-blogged the Osama bin Laden assassination a journalist? Is National Public Radio’s Andy Carvin, who has been using Twitter as a one-man newswire during the Arab Spring, a journalist? During a debate on Twitter about Hill’s post and whether it qualifies as journalism or not, Jonathan Stray — the interactive technology editor for the Associated Press — raised a good point when he asked: “Do we judge capital-J Journalism by how much original reporting it has, or how well the product serves the users?” If raising awareness about privacy infractions and creepy data-mining practices is valuable, then Hill’s post served that purpose, because it probably got a lot of readers who might never have seen the NYT piece, or never have made it all the way through the 6,700-word original. So one perspective is that Hill “stole” the NYT story in a shameless attempt to get pageviews from someone else’s work — and the other is that she highlighted an important issue within that story in a very readable way, and also directed a lot of traffic to the original that might never have gone there without her post. The Huffington Post gets criticized for doing something similar, which mainstream outlets criticize as theft, but in some cases (although not all, I will admit) the HuffPo version is actually better than the original, in the sense that it is more useful or adds more information. This is a false dichotomy in many ways. Having followed Hill’s blog at Forbes, I know that she often does original reporting, as well as the kind of post she did with the NYT piece. Both arguably have value for readers, which theoretically should be the primary goal. Many journalists like to focus on sexier pursuits like foreign reporting and investigative stories, but the reality is that much of what we call journalism is very different. In the end, it has to serve the reader — either by informing them or entertaining them, or some combination of the two. That’s not something to be ashamed of. Post and thumbnail photos courtesy of Flickr users Yan Arief Purwanto and jphilipg. Some products brings value to readers that they can’t get in traditional news outlets. Google News allows tracking news stories based on keywords while DecaPost allows subscribing to news stories and showing the latest updates on stories that you follow. Sure aggregation has value, but it is only as valuable as the source it takes stories from. The only way to defeat aggregation is for news sources to be more succinct in reporting, and provide what aggregation provides. But then we lose something valuable in the process, something that might be hard to ever gain again â€” rigorous analysis and depth. There should be a partnership between aggregators and the owners of the content they summarize. If they can be financial partners in some way, both would have incentives to keep the game alive and not fight it, because some aggregators take too much and send little traffic, and some take a little and send a lot of traffic. There could be a threshold, say 100 unique page views. If an aggregated story sends more than 100 uniques to the original story, maybe the aggregator can get paid. If they send under 100, maybe they have to pay, or offer some other service to the content provider. Whether this could work or not hinges on transparency and honesty â€” two things that are fairly elusive and easy to falsify on the web. But providing incentives for traditional media to work with aggregation is a positive way for us to move forward. Poppycock. Who cares what anyone wants to call it? News organizations are in the information business. We gather it and sell it. Those who repeat and republish that information are secondary sources, a step removed and with little risk. See: http://bit.ly/x47WN2. Without the original reporting, there is nothing to aggregate or curate and the public knows nothing at all. I think there is room for both types of ‘journalism.’ Obviously, there are a limited number of people who work for media outlets and have the luxury of writing in-depth articles and investigative pieces. The value of those people and their products should not be dismissed. However, the type of piece that Ms. Hill wrote is also of value to readers and more accessible on some levels. Content curation and aggregation can, and is, being performed by greater numbers of people in a much wider variety of mediums. Content curation and aggregation is seen as a valuable service that people will use, as evidenced by apps like Zite and Flipboard. Like it or not, people are getting used to having their news served up in new ways, in shorter formats, and on a variety of services. Giving the consumer what they want is always a win in the long run. Great piece, by the way @matthewi! I agree curation and original reporting both can fit under the category of journalism. But where is the much-needed discussion about journalistic ethics and standards for objectivity and balance? Talking about “serving the reader” is incomplete unless we include these very important issues. It does not serve society if “anyone” can be a journalist without adhering to basic ethical practices and principles. 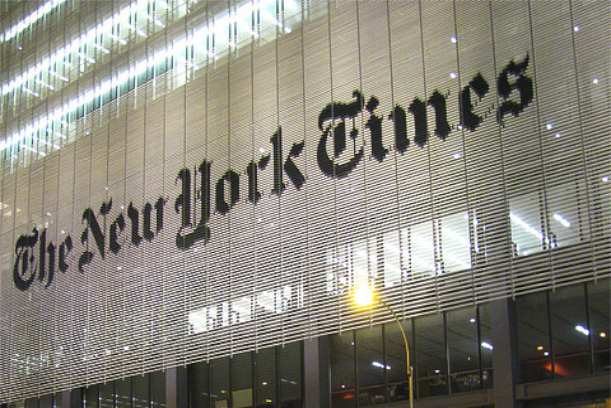 I agree with you that the times and technology are reshaping the way we gather news. But I don’t agree with your insistence that the elements of traditional journalism have lost their place. I think there should be a new category of writing called meta-journalism. Today what one can do is put up everything â€“ all the interviews, all the background material, the longer/better un-edited versions – and in so doing present a story which is about the process of journalism not simply its literary/spoken/visual end product. Thatâ€™s what the lesbian Syrian girl investigation reveals, and what in a different way the Hill piece showed us. The rise of the possibility of meta-journalism raises the question how much of the process do readers/viewers/listeners want to see versus how much of the illusion that what the redacted/slimmed down/narrative driven article/broadcast/blog presents is â€“ there is no other word for it – true. I donâ€™t know the answer to this but will point out technology is creating process metaphysics in other domains. David Hockneyâ€™s drawings and revisions on his iPad transforms his art into the process of creating his art. See, a not very good example at http://www.youtube.com/watch?v=g3GiUeBGQnk. At the end of the day you get to see not just what is there but what isnâ€™t there. Just as you do in meta-journalism. Every daily newspaper I ever worked at started the day with stories clipped from other newspapers. We usually called the sources cited and asked if the story was accurate; sometimes we’d get more info, sometimes not. But it was as routine as the morning visit to the cop shop and the calls to each fire department , etc. A more salient question is this: Has journalism caught up with what is known of the physical world, namely the Uncertainty Principle? We actually change matter by choosing what to study — is it a particle or a wave? Is it news or not? Journalists do not yet fathom the depths of their responsibility. This failure corrupts journalism and in the US is the primary reason voters do not know about most political aspirants, only the money backed dullards whose motions are reported by journalists who have no idea that are not “reporting” the news but creating it. Hell of a pickle. Aggregation and curation are two very different things. Curation brings a point of view and captures the essence. More in my post: http://bit.ly/curatetocreate Curating content to create content online is how people want to receive information. And as your post states, it serves the purpose of communicating the “idea” which otherwise might not have been read! I agree that “is this journalism?” is the wrong question here, and I think it is pretty much always the wrong question. Curation and aggregation are valuable services and are getting more so as the world generates more and more media. I want to point out, however, that Andy Carvin does a lot more than just curate and aggregate. One of the most interesting aspects of his work on Twitter is the way he organizes his followers as an investigative team to probe dubious information. A notable example is the unmasking of alleged Syrian lesbian blogger Gay Girl in Damascus as the hoax of a straight American man, as documented here: http://storify.com/acarvin/the-gay-girl-in-damascus-that-wasnt. Curation and aggregation isn’t just rewriting; it’s establishing accuracy and can sometimes evolve into full-blown investigation. Arguing over who owns stories only leads to a dead end and takes us away from strengthening our shared knowledge, which should always be the goal. You are quite right, Trish — Andy does much more than just curation and aggregation. How he does real-time verification is a model for others. Thanks for the comment. Mathew, thanks for analysis! Susan: Curation is nothing new or modern, Time Magazine started with heavily curated content in 1923. The recent developments with curators such as Buzzfeed hiring “real” journalists might imply that you have to have both curated and original content to keep your readers informed. Great analysis. Curation, summation and aggregation are all firms of modern, online journalism if they deliver the news in a timely, relevant and interesting manner. Great analysis! 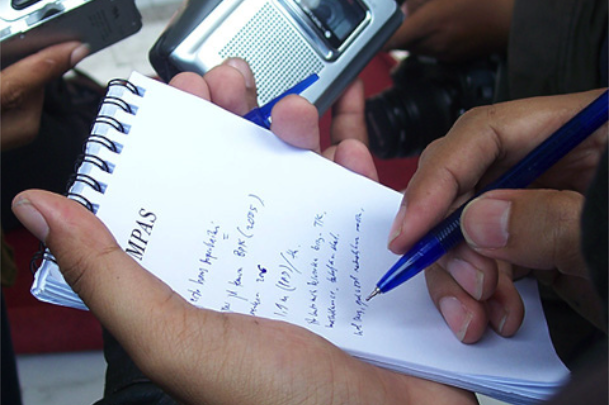 Lawyers and courts have struggled for years to define who is a journalist for the purpose of determining whether a person is entitled to protection under a state shield law or a common law reporters privilege to protect confidential sources. This effort, like trying to define “journalism” is misguided. As you cogently note, what matters the most is not “who” is disseminating the information, but whether the information “serves the reader.” In Utah, where I practice law, the Utah Supreme Court has recognized a “reporters privilege” by Court Rule. http://www.utcourts.gov/resources/rules/ure/URE0509.htm. Extending the protection of the rule wisely focuses not on who, but on the purpose of the information. The rule protects “News Reporter” who is broadly defined as any “…person gathering information for the primary purpose of disseminating news to the public…”. This definition is consistent with your thesis. Kash Hill’s reporting, aggregation, curation (or however one wishes to label it) disseminated useful information to readers. She made no effort to pass off the information as hers and she contributed signifcantly to the understanding of an important issue. I, for one, laud Ms Hill and others like her and say bring it on. You say she was “thrown under the bus” by some of her critics. Perhaps, but I suspect when all the niose dies down, most people will conclude she actualy enhanced her “chops” as an astute commentator on contemporary privacy issues. Thanks, Randy — those are some great points. Appreciate the comment.